Leadership is an ongoing journey. We must constantly work on, grow and evaluate the commitment, communication and connection with our team, organisation and the ‘why’ of what we do. While this may sound simple, we often get caught up in the doing and become ‘human doings’ rather than ‘human beings’. Leadership is a choice. No matter what level we think we are at, we need to step back and observe ourselves as leaders. Strong self-leadership is imperative in building the foundation to lead others, and influence and lead decisions. 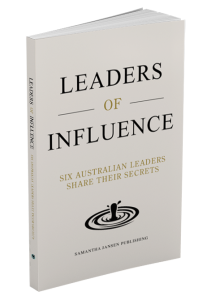 This book encompasses over 18 years of being in the coal face of leadership and helping hundreds of leaders lead from within. Limitless Leadership™ is a practical guide for exploring where you are at, and what you need to do and think about to lead for even more success. If you’d like to order multiple copies, please contact us via info@reneegiarrusso.com to discuss bulk shipping options. Leading self – before others! A really refreshing take on leadership and what it means to lead self before leading others! Renée has a great writing voice that never dumbs the subject matter down, but neither does she make the presentation of her concepts too hard to grasp. There is something for every leader here… no matter if you are leading YOURSELF or others! My copy is much highlighted, annotated and doggie eared now and there are many take outs – even for those who are not thinking of themselves as ‘leaders’ yet. Renée has written a passionate call for courage and authenticity. Every word is written such dedication and energy, you can feel her commitment and conviction emanating from the book. The text is filled with practical reflective exercises that will help the reader get clear on who they are, what they stand for, and what they can do about it. I read a lot of books on management and leadership and this book was truly a surprise and delight! Renée tackles the mindset challenge head-on and truly captures the essence of what it means to lead from a place of abundance and limitless potential. Packed full of practical tools, examples and advice, Limitless Leadership will help you and your organisation level-up and thrive. Renée has an amazing ability to empower leaders to get your mind thinking and creating. This book offers excellent models and activities to use personally and with others in both your professional and personal development. I love the way Renée’s passion shines through this book, which makes this such a delightful read. Leadership really is limitless. This book has been a very informative read for me. It has provided me with practical tips on leading myself (which I’ve already started putting into practice! ), and practical tips for leading a team (if ever I’m in the position of doing so). A great reference tool for now and in the future – I look forward to seeing where it leads me! I can’t recommend it more highly. This book shows us how to develop leadership mastery. It’s an insightful and detailed map of leading from the inside out. I can’t recommend it more highly to anyone wanting to hone their leadership craft. I thoroughly enjoyed reading Limitless Leadership. Renée writes in a tone that is easily relatable and draws on examples that can be transferred into multiple industries. I’ve used many learnings from this book successfully in my job coaching others. I absolutely love this book! It gave me a real insight into what I need to do to take my leadership to the next level. The notion that you have to know to lead yourself to lead others. It is definitely opened my eyes. An amazing read!!! I truly believe every leader must read this to understand the importance of self-leadership. Renée is to be complimented on the production of “Limitless Leadership”, a book that will help both leaders and teams achieve their true potential. As a previous manager of a small business, the ideas and practical solutions conveyed within the book are a wonderful insight into what is required to initially learn and then put into practice leadership skills. Highly recommend the book as a ‘must read’. Renée has produced a logical and easy to follow guide to assist in developing leadership personal leadership skill. It includes some excellent quotes as well as review and assessment exercises to really engage the reader. This book is a great training tool. Best leaders exhibit certain qualities that make them hugely successful. Limitless leadership is a well structure guide that provides you with practical tips to change your way of thinking and help transform you to be a good leader. Limitless Leadership is a must-read for anyone who wants to achieve and succeed in an ever-changing world. This easy to read book is jam-packed with evidence, practical tools and insights showing all of us how to be better leaders. I’ve highlighted far too many sections and turned over numerous pages to keep referencing. Renée’s insight embodies all we need to learn to be limitless leaders. This is a great book… A practical book that offers real-life scenarios together with useful exercises that will change the way you think. A great little manual to help you live the best version of yourself. It provides insights on how to lead, what paths to take and the ‘how’. Here is a great book to give you confidence and clarity on leadership and leading a team in an organisation. It has useful models, clever activities and great insights to get you thinking and seeing and viewing things in a different way. It dispenses valuable wisdom. Leading from the inside out is a truth that is easily overlooked, if not unknown, and this book helps anchor and focus the reader and will benefit many, especially those that trying to lead or considering a leadership role in the near future….. like me !! Many thanks, Renée, you are truly a star!! Renée’s book is a blueprint to life and work and has helped me personally achieve greatness! Leadership is a nebulous thing, existing at multiple layers throughout an organisational hierarchy. Even if your job title doesn’t include the word “manager”, “leader”, “exec”, etc, the term leadership encompasses a broad spectrum of qualities that everybody is expected to develop in themselves to some degree. 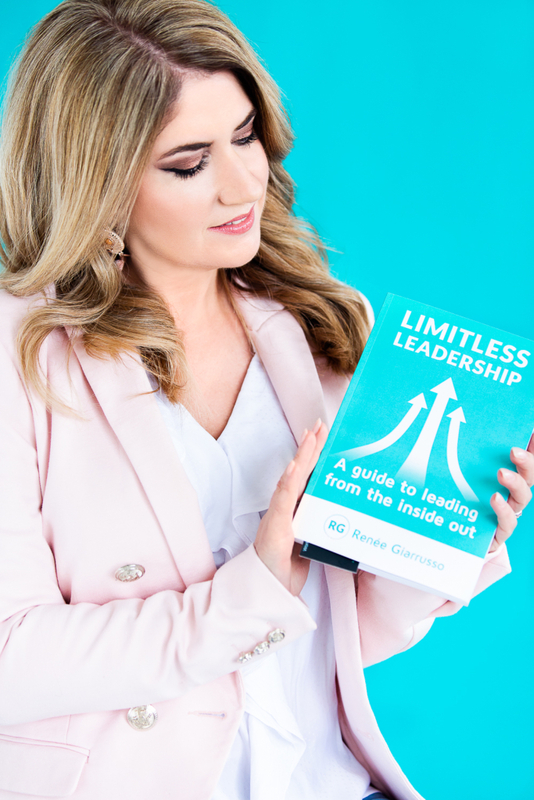 For those only just becoming aware of their own need and desire to lead, Renée’s book is the perfect first step to formalising an understanding of what leadership really is under the hood and gives practical exercises to begin shaping your own style and growth. For the war-hardened leaders running on autopilot after years of frontline action, this book will help you reconnect with the heart and soul of your leadership. And there’s plenty in here for everyone in between. If it’s a well structured and practical approach to leadership development that you’re after, then that’s exactly what you will get in “Limitless Leadership”. I didn’t think Limitless Leadership would have much to offer me in the way of professional development. I work individually and have no team to inspire or motivate. But this book is more than simply aimed at leaders, it is intended to bring out your true purpose in life. A practical book that offers real-life scenarios together with useful exercises that will change the way you think. A great little manual to help you live the best version of yourself. Quite simply the most readable, practical book with easily implemented concepts that really work. If you’re a leader who hasn’t read this you’re operating on half throttle. There are many leadership books which are too academic to actually access and use to grow. This book is a very practical guide to the thinking and behavioural shifts that you need to make to really grow as a leader. There are spaces throughout the book to write answers to the author’s questions, to develop your thinking on the very paper of the book. It, therefore, becomes more of a workbook on leading rather than another book that sits on the shelf. Renée is showing the way rather than just talking about it. Limitless Leadership is not only a great read but is actually a life-changing, practical book, challenging not only your leadership style but the way you look at each day of your life. It challenges you to have a good look at your everyday purpose and actually provides great exercises to help you dig into your inner purpose. By spending time finding that inner purpose, you become a better person and a more inspirational leader. Renée shares a lot of personal experiences and stories from senior executives she has worked with. She challenges you to have a “bursting mindset”. Where you believe in developing the talent your team has rather than the mindset that many leaders have of simply catching their team out. With a negative mindset, you will consistently find fault but with a bursting mindset, you enjoy seeing others succeed as you build a strength-based team. Overall, an easy and enjoyable read that may really change the way you approach each day. Here is a great book to give you confidence and clarity. It has useful models, clever activities and great insights. It dispenses valuable wisdom. Leading from the inside out is a truth that is easily overlooked, if not unknown, and this book helps anchor and focus the reader and will benefit many. In a world that has no shortage of leadership books, it is refreshing to see something different. Limitless Leadership is incredibly practical, filled with exercises, diagrams and anecdotal stories the author makes leadership something tangible and engaging. Leadership is a label that we give out too easily to people in authority, it would be great to see some of those people using this book to transition to true leadership. Renée’s passion for helping leaders connect to their authentic self-shines through every page of the book. Through a series of very practical steps, she guides you through a process that takes your from self-belief through to limitless leadership by implementing commitment, action and accountability techniques.